Safe Fountain and Safe Kitchen Systems SAFE WATER. SAFE SCHOOLS. While water quality in North America is generally considered to be good, system upsets, changes in water treatment conditions, and an ever-increasing list of harmful contaminants like lead, copper, pharmaceuticals, industrial chemicals and toxic forms of algae found in water nationwide has caused us to rethink how we keep drinking water safe, especially in our schools. The current EPA �action level� for lead contamination is 15 parts per billion (PPB), but medical studies show that as little as 7 PPB can affect kid�s health. (Picture a large swimming pool: all it takes are 7 drops to contaminate the water). 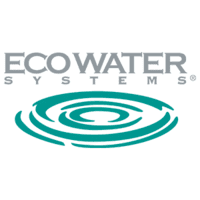 EcoWater Safe Fountain System brings these numbers down to near zero. Lead contaminations � Lead both dissolves and particulates flake off piping and connectors when present in the water distribution system. Lead also accumulates in the bio film inside all piping that acts like a reservoir, dislodging with common changes in water chemistry, system upsets, pressure drops and high velocity flushing. Water mains and lead service lines � Lead water main connectors and service lines from the street to the building were often made of lead before 1960. Interestingly, their replacement exacerbates the problem by freeing particulates that further accumulate in the piping downstream and give off high levels of lead for years. Plumbing and fixtures � Buildings constructed before 1987 used lead solder joints, which can be a major contributor of lead contamination. High content lead faucets and fountain bubblers, even the �Lead-free� products installed before 2014, can be a problem and should be replaced. Their replacement will not, however, solve the other upstream problems. Other contaminants and copper � The EPA adds to the laundry list of restricted contaminants on a regular basis. Chemicals like volatile organic compounds (VOCs), residual pharmaceuticals and even endotoxins are increasingly recognized as health risks. In addition, the water distribution infrastructure is a living system, susceptible to regular system upsets, ground water incursion and bacterial growth that can occur in an instant. Since you can�t typically see, smell or taste most of these contaminants, a final barrier water treatment system is the only sure way to protect children and provide your District with piece of mind.